In order to complete the winter break i-Ready challenge, students can use the following steps to access i-Ready from home. 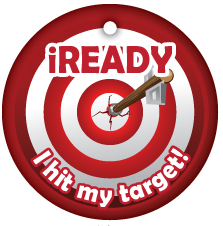 Students that complete 120 minutes of reading and 120 minutes of math over the break will earn a brag tag. Access the district portal login from home by typing mysdpbc.org into the web browser's address bar (Google Chrome is the preferred browser for i-Ready). The student should enter the same username and password they use at school. It should then take them into their district portal, where they can then choose the i-Ready tile. Then they'll have the option of choosing Reading or Math as normal. See below for system requirements and technical troubleshooting documents from i-Ready, as well as additional instructions for logging into i-Ready on an iPad.